Put together, they contain basic information about the customer. The Account Fields can be marked as mandatory, and to do so, contact support@chargebee.com . With Chargebee, you could add Custom Fields to the existing Account Fields. However, creating custom fields are not enough. You will have to give them a logical order and group them to make more sense. 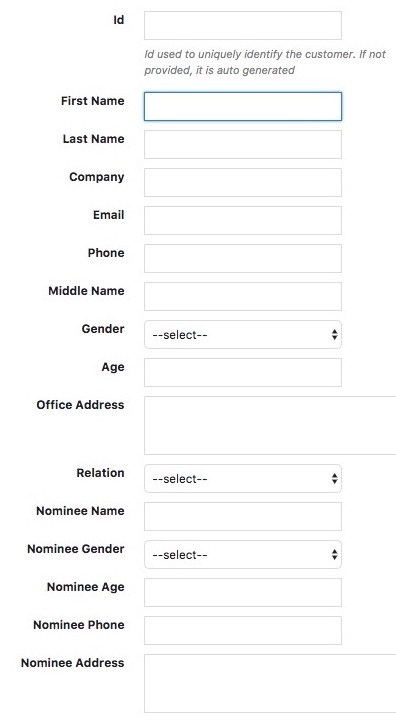 Say, you added a few Custom fields to capture additional information such as Middle Name, Gender, Age, personal website along with the details of a Nominee. Grouping will help you bundle the information as well as reorder them in a logical sequence. Account fields and Custom fields have field level security. This way you can define which of the users can view or edit Account fields and the custom fields you created in Customer entity. 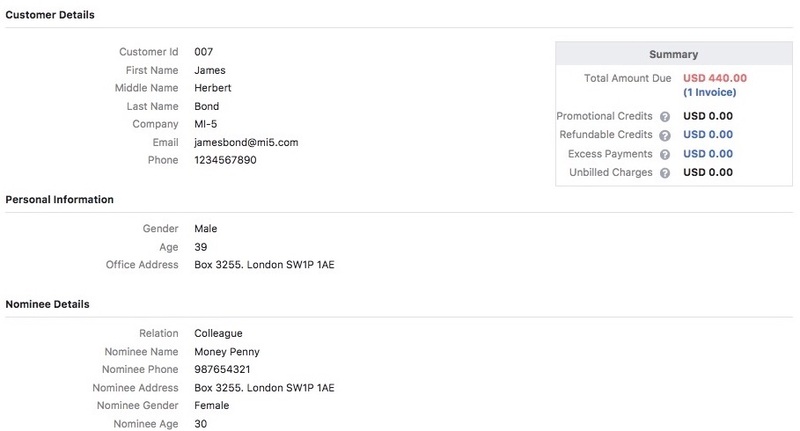 For instance, consider the example where you want to add details of nominee to your customer details. 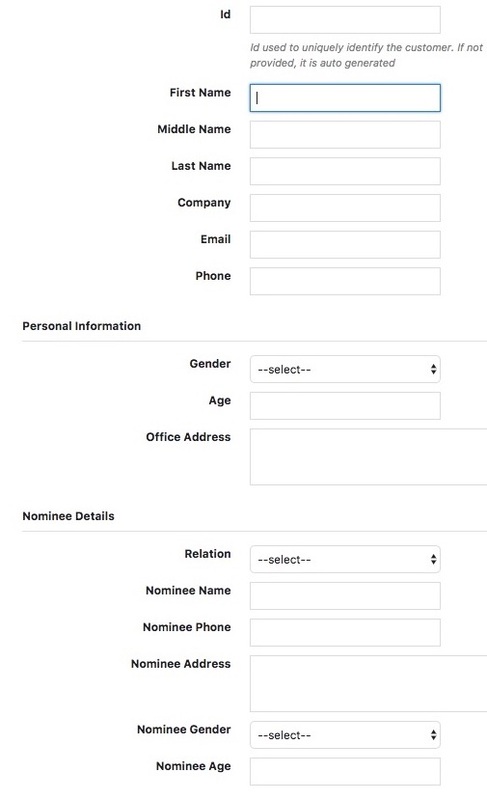 If you want certain details of the nominee, such as Nominee's phone and address, to be hidden from a user, say tech support, you can set it up with Chargebee. The same is applicable for editing a field as well. To set this up, contact support@chargebee.com . What would happen to the fields that were left empty while filling the 'New Customer' page? The emply fields will appear on the 'Customer Details' page and they can be filled in later.